The music star had a private listening session in Los Angeles, United States of America where he played songs from his next album. He took to his Instagram stories on Tuesday April 16, 2019, where he shared videos and photos from the event. Among those who showed up at the to support Burna Boy private listening part were Jidenna and his mom and manager, Bose Ogulu. One spectacular moment of the evening were photos of the tracks off his new album titled ‘African Giant,’ which he shared on his social media page. 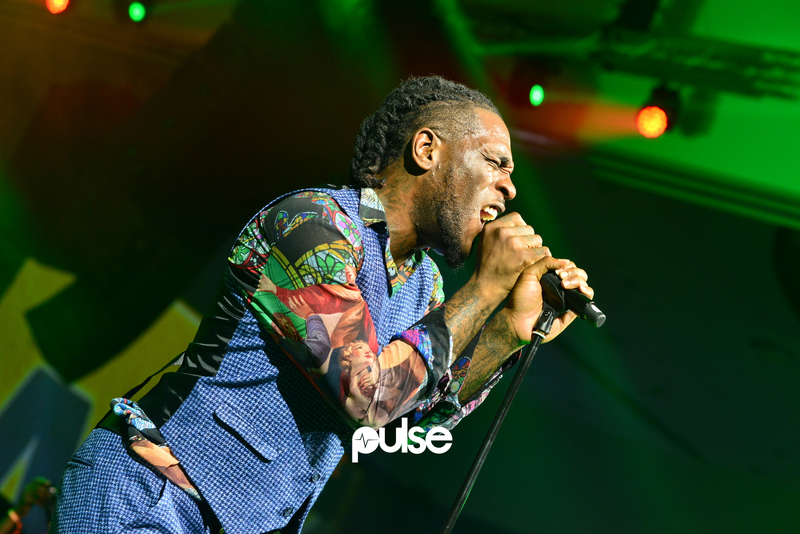 Pulse reached out to Burna Boy’s publicist to confirm the authenticity of the story and she disclosed that the album will drop soon, though concrete date has been announced. 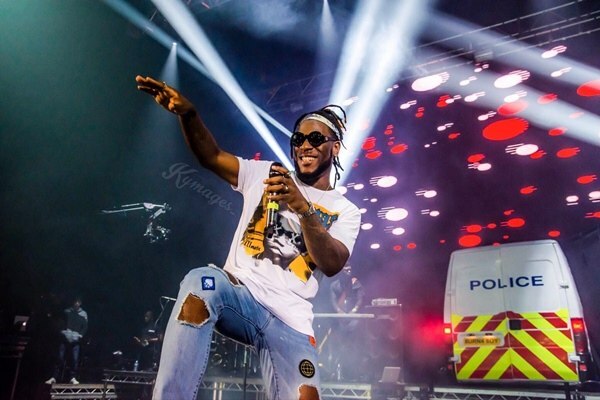 Over the weekend, Burna Boy was amongst the A-list artists who performed at the 2019 edition of the Coachella Valley and Arts Music Festival. 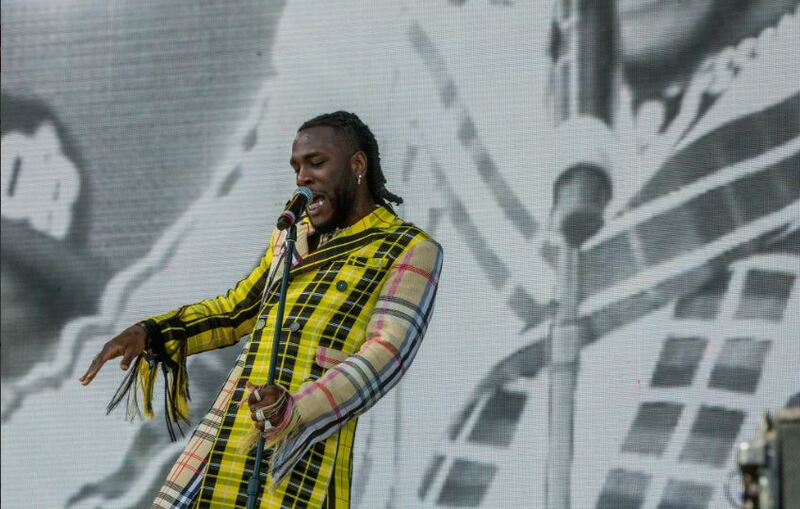 At 12:15 am WAT on April 15, 2019, Nigerian artist, Burna Boy, performed at the Coachella Valley and Arts Music Festival 2019 that began on the night of April 12, 2019, and ended Sunday, April 14, 2019 (PDT). As Pulse reported on how to live stream Coachella 2019 on Saturday, April 13, 2019, Burna Boy performed after Ariana Grande, Khalid, Bad Bunny, and Pusha T in the early hours of Monday, April 15, 2019, and it was streamed live on the Coachella YouTube page. Like Eazi, who was also subject to a YouTube artist spotlight, Burna was backed up by a live band and a selection of male and female dancers. He was also dressed in a yellow multicolored, customizable Kenneth Ize trench coat and white trousers, presumably styled by his sister, Ronami Ogulu. While on stage, Burna performed a selection of smash hits like, ‘Ye,’ ‘Dangote,’ ‘Tonight,’ ‘Killin Dem,’ ‘Soke,’On The Low,’ and others. During the performance of ‘Killin Dem,’ he thrilled the crowd with some impressive Zanku moves. 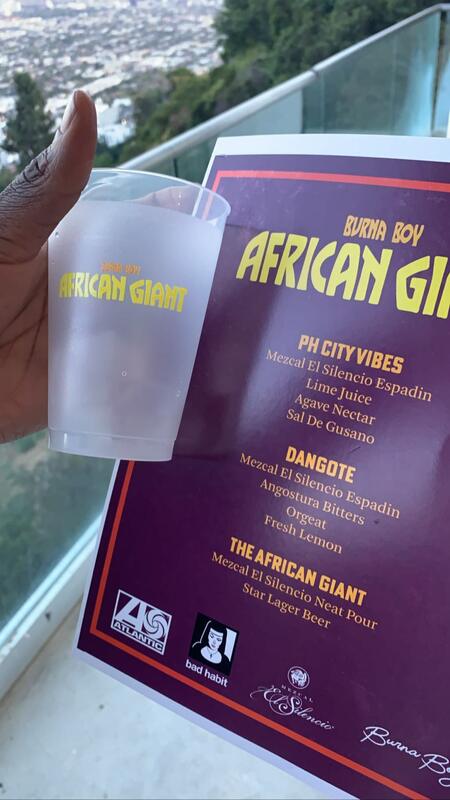 The album title, ‘African Giant’ is derived from his infamous objection at his name being spelled in small letters during the promo run for Coachella Valley and Arts Music Festival 2019. For creative plaudits, Oluwaburna’s multi-city American Tour has also been tagged, ‘African Giant’ tour.